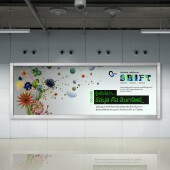 About Siam Attariya : Siam Attariya is one of the most respectable and distinguished graphic designers in Thailand. He has won and received numerous graphic design awards from both major domestic and international events. He is also one of the key person who help establish the Thai Graphic Designers Association (ThaiGa) in 2004 and still serve as an active honourable committee until now. Graduated from Chulalongkorn University, he is currently a partner and design director of Pink Blue Black & Orange Co. Ltd. and continues to produce great amount of quality works to this day. His outstanding projects include annual reports and print collaterals which always reflect his wit, creativity and Thai sense of humour. He is an influential figure in both the design communities and for the ethical practice of design. In 2015, Siam becomes a member of Alliance Graphique Internationale (AGI), the world's leading graphics designers and artists in a professional club established in 1951. 1990, Art Education, Bachelor Degree, Chulalongkorn University, BANGKOK/THAILAND. 1994-1996, Graphic Designer, Propaganda, BANGKOK/THAILAND. 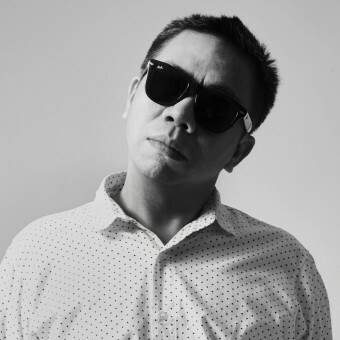 1997-Present, Design Director, Pink Blue Black & Orange, BANGKOK/THAILAND. 2016, "I Love Seoul", AGI Congress, SEOUL/SOUTH KOREA. 2016, "What do you see in COMMONS? ", TCDC COMMONS, BANGKOK/THAILAND. 2016, "What do you see in COMMONS? ", Curator, TCDC COMMONS, BANGKOK/THAILAND. 2005, "They call me funny! ", Speaker, Business of Design Week 2005, HONG KONG. 2003, "AsiaBeat - A Clash of Signs & Symbols", Speaker, Visualogue, NAGOYA/JAPAN. 1994, Certificate of Recognition Letterhead, B.A.D. Awards, BANGKOK/THAILAND. 1996, Award of Excellence Design Annual Letterhead, Communication Arts, CALIFORNIA/USA. 1996, Award of Excellence Design Annual Self Promotion, Communication Arts, CALIFORNIA/USA. 1996, Finalist Graphic Design, B.A.D. Awards, BANGKOK/THAILAND. 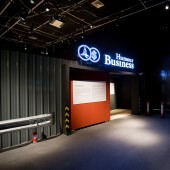 1999, Best Corporate Identity, B.A.D. Awards, BANGKOK/THAILAND. 2004, Entries Selected for Typographic Excellence, Type Director Club, NEW YORK/USA. 2005, Certificate of Excellence Graphic Design (Lettering & Type Face Design), B.A.D. Awards, BANGKOK/THAILAND. 2006, Award of Excellence Design Poster, Communication Arts, CALIFORNIA/USA. 2007, Certificate Self Promotion, Editorial Board of Almanac of Asia-Pacific Design, HONG KONG. 2007, Award of Excellence Design Product/Service Brochure, Communication Arts, CALIFORNIA/USA. 2014, Award of Excellence Design Letterhead and Business Cards, Communication Arts, CALIFORNIA/USA. 2016, Design Excellence Award (DEmark), The Department of International Trade Promotion (DITP), BANGKOK/THAILAND. 2016, Good Design Award, G-Mark, TOKYO/JAPAN. 2017, Design Excellence Award (DEmark), The Department of International Trade Promotion (DITP), BANGKOK/THAILAND. 2017, Good Design Award, G-Mark, TOKYO/JAPAN. 2016, "Humour Business", art4d, Pages 82-85, November, BANGKOK/THAILAND. 2016, "What do you see in COMMONS? ", art4d, Pages 66-69, December, BANGKOK/THAILAND. 2014, Pink Blue Black & Orange Letterhead", Communication Arts,Pages 108-109, September/October, CALIFORNIA/USA. 2003-Present, ThaiGa(Thai Graphic Designers Association), BANGKOK/THAILAND. 2017, Design for Asia Award, HONG KONG. Press Members: Request an exclusive interview with Siam Attariya.